The clause number 135 in the recently passed Indian Companies Bill exclusively addresses Corporate Social Responsibility. While the supporters and baiters of the bill are having a field day, there is a very practical issue that needs to be addressed and that too fast. In a well meaning measure, the Clause 135 makes it compulsory for companies to have an independent director in their CSR Committee. This may pose no problem for the public listed companies, who are any way mandated to have independent directors on their board. 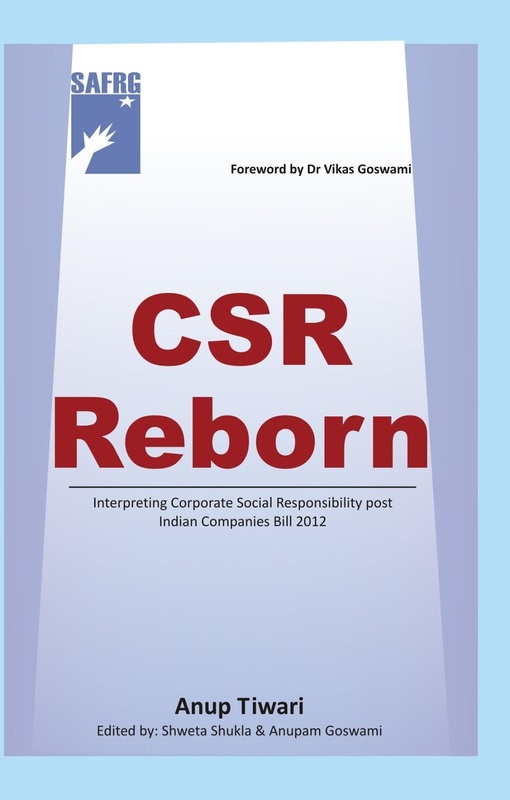 However, once the new clause is put into force (which is just a Presidential nod and government notification away), all companies that have a net worth of INR 5 billion (500 crores) or turnover of INR 10 billion (1000 crores) or net-profit of INR 50 million (5 crores) will need to have in place a CSR Committee. This could very well mean 8-10,000 companies as per one estimate. However, according to a World Bank Report published in 2012 only 5,112 domestic companies were listed in India in 2011. This leaves almost half the companies in a lurch, who may not have an independent director on their board but will need to have one in their CSR Committee. Will this mean these companies will have to compulsorily take on an independent director on their boards? It won't be a bad move though and could only improve governance of these companies. However, a clarification is much awaited from the architects of the new act. It will only help the companies in putting their CSR policies in place and deliver the much needed social impact. 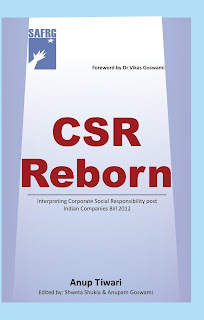 "CSR Reborn" today by writing in to nandita@safrg.org.